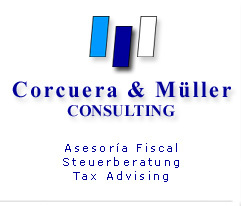 Welcome to your fiscal advisers Corcuera & Müller Consulting in the heart of Denia and in Els Poblets, Costa Blanca, Spain. We provide professional and fiscal advice, individual conveyancing of property in Spain, integral service for companies and management assistance. We always advise you personally and individually and help with all practical matters of setting up a company in Spain. The personal and direct dialog with our clients as well as the continuous information of our clients is necessary for a faithful mandate. Our aim is maximum clients content. Our consultancy stands highest quality measures with special respect to efficiency, reliability and accessability. Please feel free and make use of the advantage we can offer you: we advice you in your own language in perfect combination with Spanish knowledge in the large field of fiscality. We would like to inform you personally about our service spectrum.